The Minnesota congresswoman has been at the center of controversy this week. Minnesota Rep. Ilhan Omar, who has been at the center of controversy all week on Capitol Hill, said Friday that a perceived criticism she gave of former President Barack Obama was the result of a reporter distorting her words. In an interview Omar gave to POLITICO Magazine, the freshman Democrat said while it is right to criticize President Donald Trump and the policies of his administration, she also feels that there are "ways that our Democratic leaders have conducted themselves within the system is not one that we are all proud of." "You know I will talk about the family separation or caging of kids and people will point out that this was Trump -- I mean this was Obama. I mean I'll say something about the droning of countries around the world and people will say that was Obama. And all of that is very true," Omar, who posted audio of the specific portion of the interview on Twitter, said. "We can't be only upset with Trump because he's not a politician who sells us his policies in the most perfect way. His policies are bad, but many of the people who came before him also had really bad policies. They just were more polished than he was, and that's not what we should be looking for anymore," Omar added. "We don't want anybody to get away with murder because they are polished, we want to recognize the actual policies that are behind the pretty face and the smile so that we can understand the kind of negative impact, or positive impact they will have on us for generations to come." 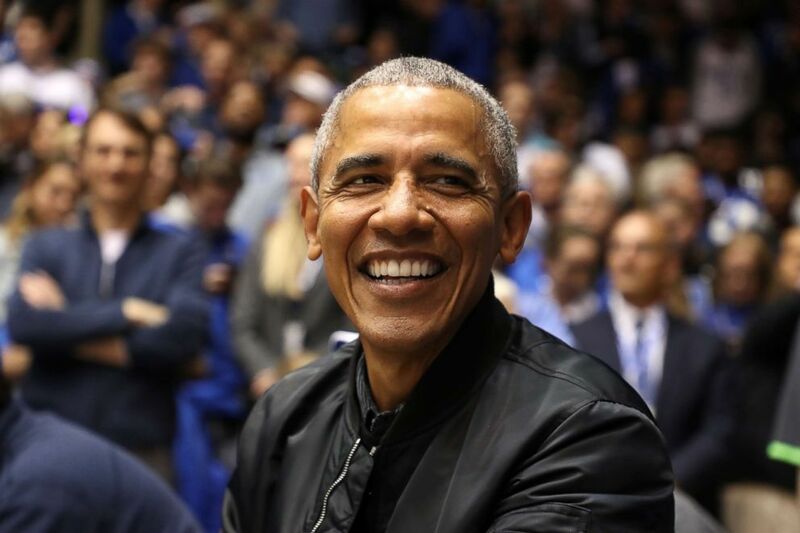 (Streeter Lecka/Getty Images, FILE) Former President Barack Obama, watches on during the game between the North Carolina Tar Heels and Duke Blue Devils at Cameron Indoor Stadium, Feb. 20, 2019, in Durham, N.C.
After many took Omar's comments as a harsh critique of Obama, who remains widely popular across the Democratic Party, she took to Twitter to clarify the comments, writing, "I'm an Obama fan! I was saying how Trump is different from Obama, and why we should focus on policy not politics." In a March 2018 Quinnpiac Poll 49 percent of Democrats ranked Obama as the best president the United States has had since World War II. (Alex Wong/Getty Images, FILE) Rep. Ilhan Omar listens during a news conference on prescription drugs, Jan. 10, 2019, at the Capitol in Washington, DC. On Friday evening, the POLITICO reporter who wrote the story, Tim Alberta, defended his characterization of Omar's comments about Obama. Your tape...supports what I wrote 100%. So does my longer tape. It's beyond dispute. 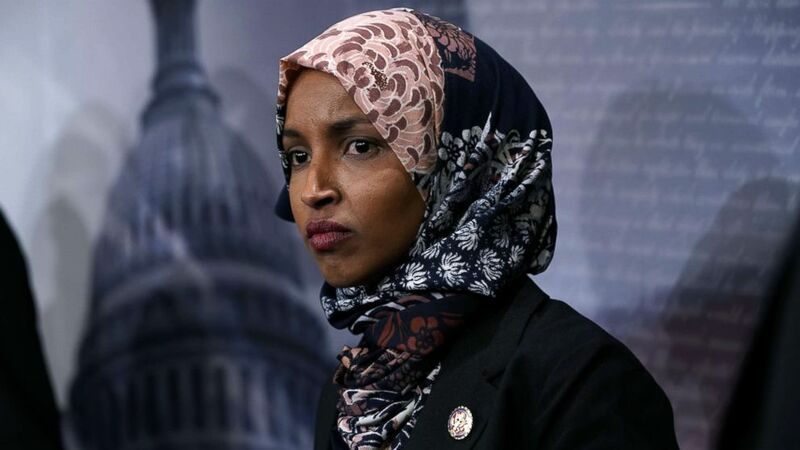 Omar has been the subject of scrutiny on Capitol Hill for the better part of the last month, and her comments about Israel earlier this week sparked a debate over anti-Semitism that led the House to pass a resolution Thursday condemning "hate in all its forms." In a joint statement released Thursday evening Omar, along with the other two Muslim members of Congress, Reps. Rashida Tlaib of Michigan and Andre Carson of Indiana, the trio praised the resolution writing, "We are tremendously proud to be part of a body that has put forth a condemnation of all forms of bigotry including anti-Semitism, racism and white supremacy ... Our nation is having a difficult conversation and we believe this is great progress." While her comments earned a rebuke from many House Democrats, Omar was defended by a number of the party's leading presidential candidates. including Sens. Bernie Sanders, Kamala Harris and Elizabeth Warren. In a statement released Wednesday afternoon, Vermont Sen. Bernie Sanders, who is Jewish and lived in Israel for a time in the 1960s, said that while anti-Semitism "must be vigorously opposed in the United States and around the world," the country "must not, however, equate anti-Semitism with legitimate criticism of the right-wing, Netanyahu government in Israel." "What I fear is going on in the House now is an effort to target Congresswoman Omar as a way of stifling that debate. That's wrong," Sanders added.